Like the name suggests, this bud is sweet and candy-like in flavor and aroma. 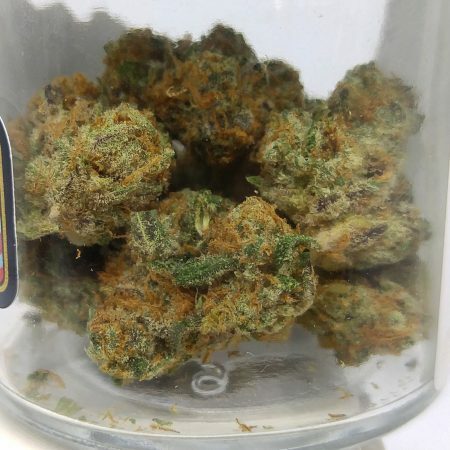 From Freya Farms out of Conway, WA, this proprietary cut of the strain is very indica-heavy, unlike some hybrid phenotypes. The buds are very dense and chunky, reflecting the strains indica-traits. Covered in a layer of kief, the dense green buds have a slight purple and orange hews, and the effects are heavy in the body and relaxing to the mind.